An interesting ship but I think it would struggle to compete against any ship in the Tier 3 band with only 2 side mounted and one rear 30 cm main gun. 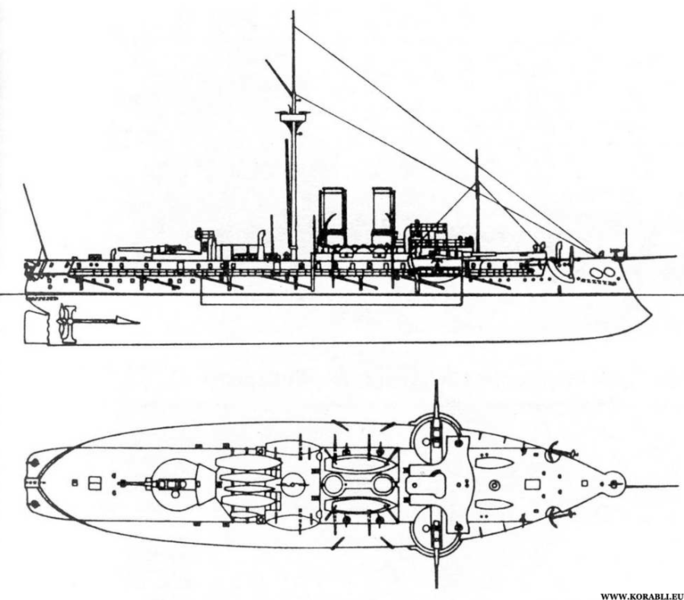 Even the T2 premium BB Mikasa carried 2x2 turrets with 305mm guns. Not nearly enough guns for Tier III. Here's an idea for next April Fools. It could compete against the Mikasa for most useless main guns. It actually used blown power as gun propellant. That means it comes with unlimited smokes. 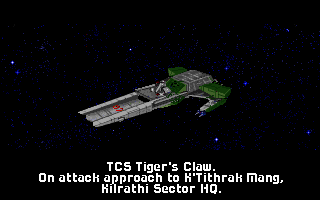 Seriously, Space battles for 3 consecutive years. That's getting boring. I'll be playing OST from Pirates of the Caribbean, especially "Hoist the Colors" all matches. Boarding requires sailors to be on the ships, which may turn the game into 17+ rating. WG don't want that. Robots on Age of Sail ships. It's April's Fool alright. I'm sorry, but getting off topic happens in 99% of threads in this forum. This one would be nice too. Since everyone hated that fist ship, what about this one? 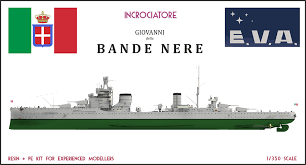 Possibly T5-6 in the incoming (but who knows when) Italian cruiser line. About the same as Duca D'aosta. How about captain duel. the captain who win will capture the ship. The Mikasa does not have 2 x 2 turrets with guns, it has 2 x 2 turrets with things that could not hit the barn door from the inside.